Cold orange juice on the deck is a great way to start a summer morning. 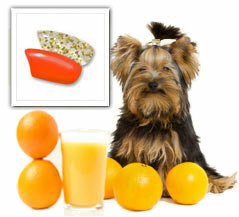 Your dog will look as refreshed and cool as your morning juice in our Fresh Squeezed Combo. 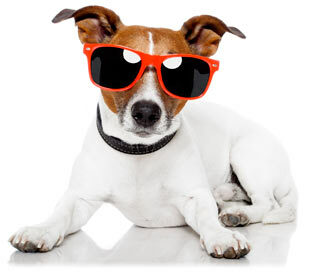 Just like each summer sunset, your canine best friend is unique. 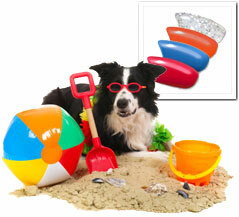 Your pal will stand out from the crowd even more this summer wearing our Summer Skies nail cap combo. A nice tall, cold drink is a special summertime treat. 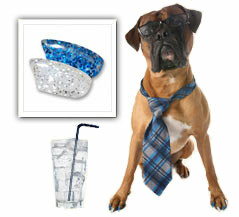 Your dog will look as relaxed and cool as your favorite summer beverage wearing our Ice Cold Combo. 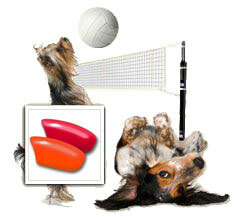 This bright, vibrant nail cap combo will have everyone admiring your canine pal's summer style choices. Orange and red to represent summer's heat will have everyone smiling, even on rainy days. 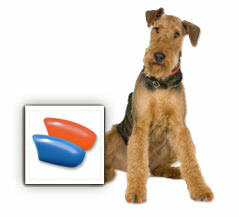 Your dog treats you like royalty every day. 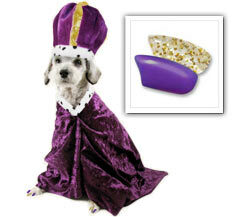 Decking your canine pal out in our Purple Reign combo lets you share the spoiling with your royal buddy.